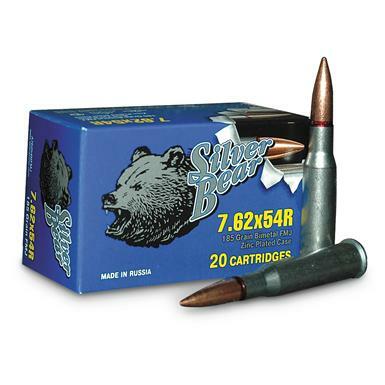 Silver Bear, 7.62x54R, FMJ, 174 Grain, 120 Rounds is rated 4.8 out of 5 by 15. 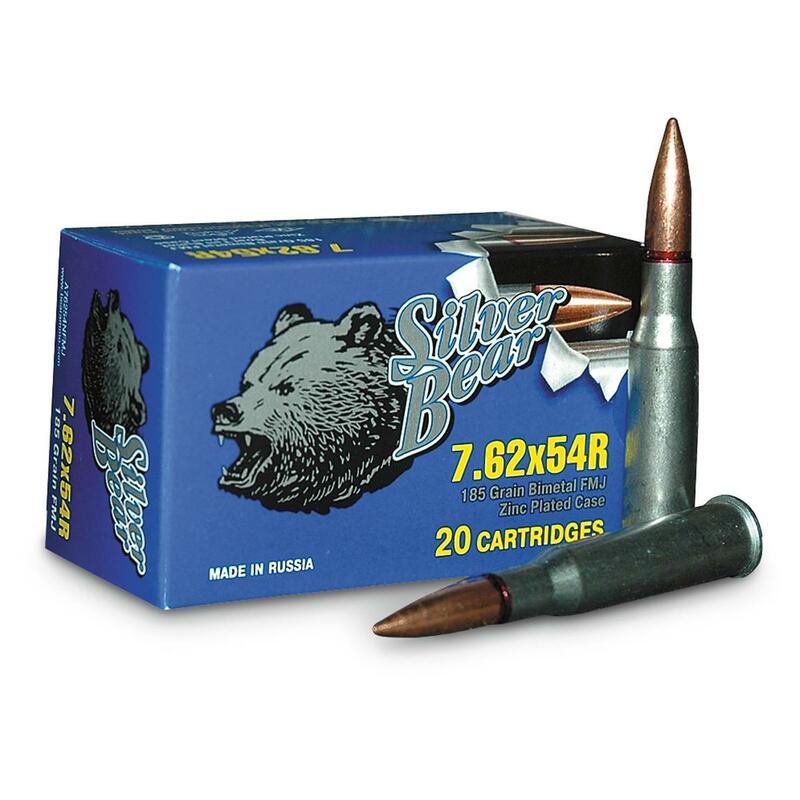 Rated 5 out of 5 by Phil from Some of the best Russian ammo Silver Bear by Barnaul is some of the best Russian ammo for the price. Shoots relatively clean, although I wouldn't recommend it for direct impingement weapons. Good economical plinking, target, and hunting round. Rated 5 out of 5 by DAVID from havent had a chance to try but i am confadent they will be excellent.